Our stunning collection of over 60 bonsai and penjing trees requires time-intensive care, literally 365 days per year. Your donation helps maintain the health and beauty of this unique living collection. Bonsai and penjing enjoy a rich history and tradition in Chinese and Japanese cultures and their popularity continues to grow internationally. With their unique qualities of art, design, horticulture, and meditative gardening, bonsai and penjing each year draw thousands of new devotees around the world. Our current collection of bonsai and penjing numbers over 70. The collection began in 1977 with a gift of core specimens from the estate of Dr. Maurice Seevers, a former director of the University of Michigan Department of Pharmacology and an ardent bonsai lover. We’re also excited to announce a permanent, dedicated bonsai and penjing garden at Matthaei. The garden, which opened in May 2013, is located behind the Conservatory with an entrance from the perennial garden. The garden is free and open to the public and showcases much more of the collection than has been previously possible. Visit our Hours & Direction page for information on regular and summer hours for our gardens, conservatory, and main building. 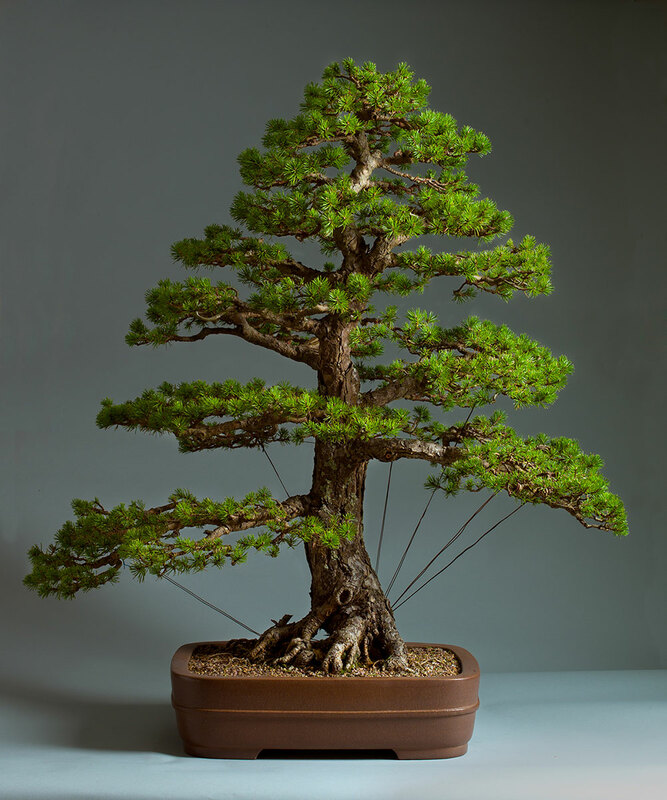 Use the links above to learn more about our bonsai and penjing garden and about our collection, or to explore the history, significance, and care of our trees. And be sure to visit our timeline section for a pictorial history of our featured specimens.